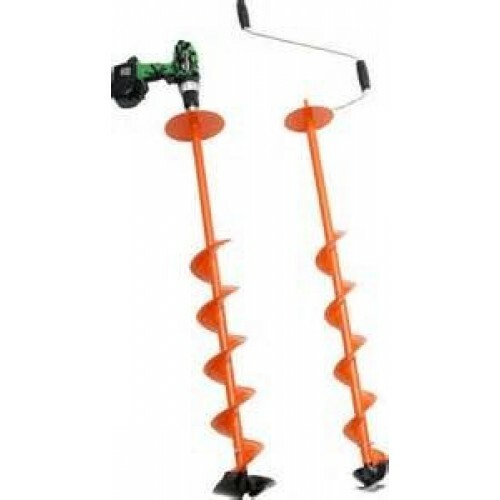 New Nils USA Convertible Hand Auger easily converts into a Cordless Drill Auger! Comes with a hand crank handle and features a fast new “SLICK” cutting head for fast cutting in all ice conditions. Auger has a flared head to prevent loss down the ice hole in case of accidental disconnect from cordless drill. For best results use with a 2-speed cordless drill on the low speed / high torque setting. Cordless drill not included.